For most people, the prospect of selling their home can be positively daunting. First of all, there are usually plenty of things to do just to get it ready for the market. Besides the traditional clean-up, painting and fix-up chores that invariably wind up costing more than you planned, there are always the overriding concerns about how much the market will bear and how much you will eventually wind up selling it for. Will you get your asking price, or will you have to drop your price to make the deal? After all, your home is a major investment, no doubt a rather large one, so when it comes to selling it you want to get your highest possible return. Yet in spite of everyone’s desire to get the top dollar for their property, most people are extremely unsure as to how to go about getting it. However, some savvy sellers have long known a little financial technique that has helped them to get top dollar for their property. In fact, on some rare occasions, they have even sold their properties for more than they were worth using this powerful financing tool. Although that might be the exception rather than the rule, you can certainly use this technique to get the most money possible when selling your property. Seller carry-back, or take-back financing, has proven to be a surefire technique for closing deals. Even though most people do not think about when it comes to selling a property, they really should consider using it. According to the Federal Reserve, there are currently over 100 Billion dollars of seller carry-back (seller take-back) loans in existence. By any standard, that is a lot of money. 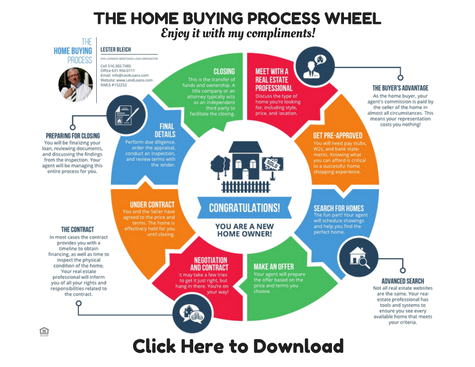 But most importantly, it is also a very clear indication that more people are starting to use seller take-back financing techniques because it offers many financial benefits to both sellers and buyers. Basically, seller take-back financing is a relatively simple concept. A seller-take back loan is created when a property is sold and the seller performs like a lender by assisting in financing all or part of the total transaction. In effect, the seller is actually lending the buyer a certain amount of money toward the purchase price, while a traditional mortgage company usually funds the balance of the purchase price. A seller take-back loan is secured with the property. The loan then becomes the secondary mortgage and is fully secured by the property. In most seller take-back financing transactions, the buyer repays the seller with interest in accordance to mutually agreed terms over a period of time. Usually, the terms call for the buyer to send the payments, consisting of principal and interest, on a monthly basis. This is advantageous because it creates a steady monthly cash flow for the note holder. And if the note holder decides to cash out, he or she can always sell the note for a lump sum cash payment. Regardless of market conditions, seller take-back financing makes sound financial sense; it provides both buyer and seller with flexible financing options, makes the property easier to sell at higher price and shortens the sales cycle. It also has the added advantage of being an excellent investment that generates a steady cash flow and high return. If you ever need immediate cash, you can always sell the note. The first mortgage holder must be made aware of this second lien on the property in case there are any restrictions. Also, make sure to use an attorney to draw up the paperwork and have the mortgage properly recorded. If you are planning to sell a property, then consider the many benefits of seller take-back financing. In different parts of the country right now it’s definitely a sellers market. Inventory of homes for sale is low, interest rates are low, and there are a lot of buyers out there looking to get into a home. The recent uptick in mortgage rates have even more buyers pulling the trigger. So how are you going to find your dream home when you are competing against so many other buyers? When you find a home you like be sure to act on it quickly! Have your agent give you a tour of the house, don’t wait for an open house to happen! A lot of homes are getting offers within the first couple weeks of being on the market, so it’s important to arrange a showing quickly if it’s a home you are interested in. Wait too long and the home could be under contract. Once you find the home you like it’s time to make an offer. Your agent should be doing a comparative market analysis of recently sold homes in the area that are similar sizes. This will help you determine if the list price is over or under what it will most likely be appraised at. Once you come up with a number you feel comfortable with, submit it to the seller and hope for the best! If you find yourself in a multiple offer situation you might want to take a different approach. If it’s a house you really love consider doing an escalation clause. Instead of listing a price of what you’d like to buy at, tell the seller you are willing to pay $2,000 to $3,000 more than the highest bidder and want right of last refusal. A seller is not going to object to getting more money for their home, and if the highest offer is outrageous you can always walk away from the home knowing it’s not worth it. But this way you’ll have peace of mind knowing that you didn’t overpay by thousands of dollars. If the seller accepts your offer the house isn’t yours quite yet. It’s key that you get a home inspector to look over the home and try to find any damages that you might not be aware of. This includes things like a cracked foundation, mold, leaks in the roof, and other major repairs. You can use your inspection as a way to gain leverage in negotiations, asking for items to be repaired or for credits at closing to make up for the repairs that need to be done. If the seller refuses to renegotiate this is one of the several points in the buying process in which you can walk away from the home with a valid reason. The purchase of your home will also be contingent on the appraisal and your mortgage being approved. Using the right mortgage broker (like yours truly) will insure that the mortgage process won’t be long and frustrating. Once you are clear to close by the bank the house can finally be yours! But until then be prepared for the emotional roller coaster that is buying a home. The most important investment you will ever make is probably the purchase of a home. Finding the right home can be a long and arduous process, but there is no getting around that. You’re ready now to find a lender and get yourself pre-approved for the loan. Being pre-approved offers a number of advantages. It will clarify the price range you can afford. Also, once you find the home you want, you can place an immediate offer. If you have to wait for pre-approval, someone could buy the house right out from under you. Feel free to contact me to obtain a pre-approval. It is wise for a first time homebuyer to work closely with a real estate agent, no matter what type of property you’re looking for. A knowledgeable real estate agent will make your house-hunting much easier. A good real estate agent is usually a good negotiator, and will be able to help you with the complicated paperwork involved in placing an offer on a house or in closing a deal. One of the forgotten steps in moving is the fact that physically moving your belongings from one spot to another is only part of the deal. Once you get your boxes and your mattress and your desk to its final destination, you still have to be able to find everything and put everything where it belongs. A rule of thumb when surveying your house is that no matter how many box-fulls you think you have, a good idea is to at least increase your most generous estimate by at least 50 percent. And remember, for every box you pack, that’s a box you have to unpack. According to data from the US Census, 14 percent of all American households last year moved. That translates to somewhere around 40 million people switching addresses. Most of us take weeks, sometimes months to slowly and painstakingly categorize, wrap and pack all of our belongings. We spend months looking at prospective houses, arguing with our real estate agent and we spend days with our fingers crossed hoping we got the property we wanted. But once you do get your dream house, then what? You took all this time to get everything ready and then you leave yourself…. …..to move everything. Yup, it’s just about as crazy as it sounds. But fear not, there are some common sense tips to keep your head from exploding. If you have the money, there are several companies out there that will help you pack up everything, and then once the movers do their thing, they will unpack pretty much everything. They will even take the boxes with them when they go. They will hang pictures, put your toothbrush in the bathroom and put the sheets on the bed. They will even get the computer up and running. But, as you can imagine, these types of services aren’t cheap. If they aren’t in your budget, here are some good tips for do-it-yourselfers. “See-through” is your friend. Stay away from opaque brown cardboard boxes and try to use as much clear packing material as you can. Clear plastic bins, Ziploc bags for small things, anything that you can think of that is clear and can hold large amounts of stuff. Lists Lists Lists. Write down what goes in every single box, so when you wake up that first morning in your beautiful new home and you want that first cup of coffee, all you have to do is grab that list and see that it’s in box 91. Have the utilities turned on before you move in. This is especially important if you have kids. Moves are traumatic enough for adults, but when little Johnny is having his universe ripped apart, it helps to be able to plop the kids in front of Dora the Explorer for a bit while you try to recover from exhaustion. While nothing can really prepare you for the mental and physical stress of moving day, being prepared and taking a few common sense steps can help keep things from getting too out of hand. Are you moving in the next few weeks or months? Are you ready for the move? Have you forgotten anything? My free Moving Checklist identifies up to 60 things you need to take care of before you move; everything from arranging for transfer of your doctor and dental records to transferring your prescriptions, and whom to notify of your change of address. It is divided into when to do what, starting 6 to 8 weeks before, straight through the big day. 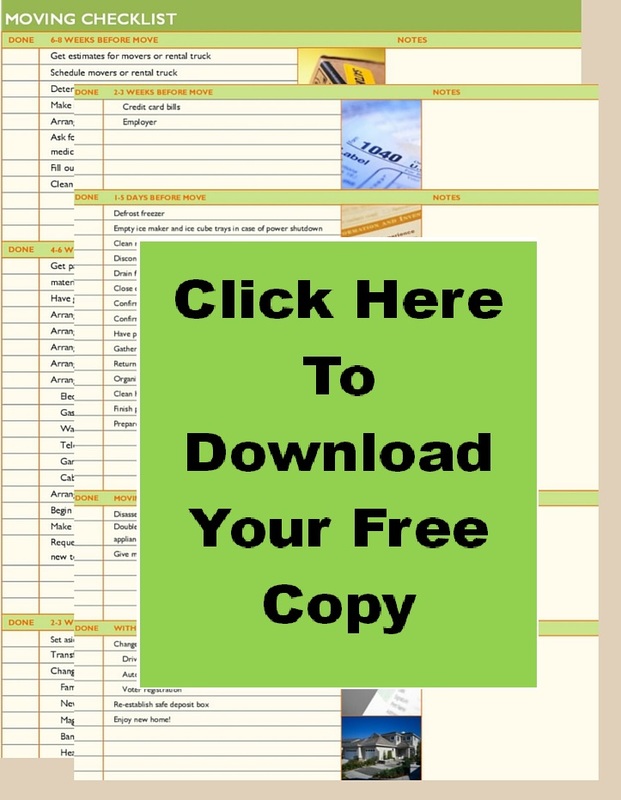 It’s a very handy list you’ll want to have, and it’s yours free with my compliments. To download your free Moving Checklist, just click on the picture on the right, and enjoy your new home! Sometimes it’s helpful to sell your home before you really want to move. This often happens when you are having a new home built, but aren’t sure of the completion date. Is there any way you can sell your home so you’re sure of the funds available for the new purchase, but continue to live in your old home until construction of the new one is complete? Yes, there is with the renting back strategy. The particulars of this strategy vary from state to state, but in the strong seller’s market we’re experiencing, buyers will often agree to let the seller stay in the home for a period of time as long as rent is paid. In a competitive situation, the buyer willing to do this will often have the winning bid even though there is another offer as high as his. The agreement covering the situation states the length of time the seller will remain. It can be done with a specific date named or wording that allows the seller to remain up to a specific date with the possibility of moving sooner. The amount can be a fixed figure paid out of the proceeds of settlement or a monthly amount, or a daily amount. It is usually, but not always, tied to the amount of the mortgage payment under the buyer’s new loan. Sometimes there is a deposit against damage, sometimes not. There is usually a clause saying the seller will hold the buyer harmless for any damage to himself or his property which occurs after the sale is consummated and before the seller moves. The attorney who draws up your contract offer can create such an agreement. If you’re using online forms, you should be able to find one for this situation. If you’re working with a real estate broker, he or she can handle it for you. I’ve recently seen a very pleasant example of this idea in action. An elderly widow contracted to have a one level condo unit built in a new community which provides all exterior maintenance. She had had hip replacement surgery and wanted to get away from the drawbacks of the home in which she’d reared her children. The home was large, had stairs and was located on a large, partially wooded lot with many mature perennials and shrubs. Both the home and garden were beautiful, but high maintenance. Her contract to purchase required a series of deposits and a firm indication as to her source of funds well before settlement on her new condo. The widow put her home on the market. A young couple with two sons was very anxious to buy it. The situation was competitive. They made the widow an offer. She countered their original offer. She did not raise their offer price, which was slightly below her asking price. She did not believe the young couple would qualify for a larger loan. Instead, she did something rather creative. The widow countered with a proposal that she “rent back” for a period of “up to” a certain date (a date beyond her scheduled competition date on the condo) in exchange for a modest flat sum to be paid to the buyer at settlement. The total rent back period was less than two months. The flat fee was less than the amount of the new mortgage payment for the buyers. However, since they made no payment on their new mortgage the first month, it wasn’t too far out of line. The couple really wanted the home, so they accepted the counter offer. Another win, win situation was created. The widow only had to move one time and the young couple got a house they probably wouldn’t have in a straight bidding war. If you find yourself in a situation similar to either the widow or the young couple, perhaps you can work out a similar solution. Buying a Home, What Should Your Offering Price Be? You may have found the home of your dreams, but you know that you now have to make an offer. You see what the asking price is, but that doesn’t necessarily mean that it’s a realistic number. In order to submit your offer, you need to come up with a number. How do you do that? Try the simple steps below! In order to get a realistic idea of the price of the home, look at other homes for sale in the area. Make sure that the homes you are looking at are comparable to the one you’re making an offer on. This should help you narrow down your price range. Comparable sales are how you determine the base number of your offer. These are recent sales of homes in your area that have sold. You want to be able to compare the home you are purchasing to ones that are close in size, number of bedrooms, lot size, bathroom numbers, construction style and garage numbers. If you have employed the help of a real estate agent, he or she will have no trouble looking up this type of information, and they have the best experience in helping you formulate an offer. Furthermore, it is important that number you come up with is realistic in relation to the condition of the home. Are there updates that are needed to be completed? Are there serious renovations that you have to do? If so, take these things into account, because they can quickly depreciate the asking price of the home. Calculate how much you have to spend on renovations and updates to see how much you have to deduct at least from the asking price. Is the seller including anything with the home? If so, what is it really worth? In some cases, sellers will provide the option of purchasing the home fully furnished or with appliances. These are usually items that they charge extra for, but you could purchase yourself much cheaper. Why is the seller selling the home? In some cases, the circumstances of the seller impact their decision whether or not to accept your offer. You want to get a good deal, which is understandable, but depending on the seller, it may not be realistic. For example, if the seller wants to sell the home quickly, you have a better chance of haggling the price. Keep in mind, some sellers are willing to wait out the perfect offer that comes close to their number. If the property is highly desirable, you may even have to pay over the asking price to beat the competition. The actual price of the property is never set in stone, and you need to come up with a “fair” price to submit in your offer using the information available to you. Making your first offer can be nerve wracking and it can really give you insomnia. However, once you get over the initial shock of your first largest investment, you will find that making the offer wasn’t as hard as you thought it would be. Use everything you have just learned for success, and lots of luck! 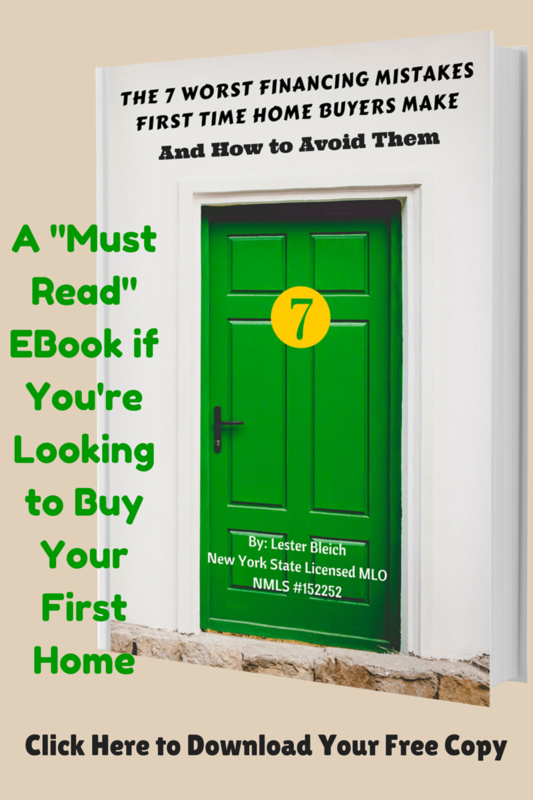 Author Lester Bleich, NYS Licensed MLO, NMLS #152252Posted on July 18, 2016 July 18, 2016 Tags First Time Homebuyer, Home, Offering PriceLeave a comment on Buying a Home, What Should Your Offering Price Be?